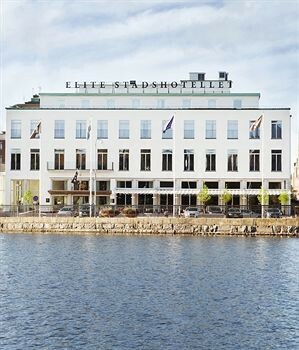 Property Location A stay at Elite Stadshotellet Eskilstuna places you in the heart of Eskilstuna, walking distance from Eskilstuna Bowling Center and Klosters Church of Eskilstuna. This 4-star hotel is within close proximity of Rademachersmedjorna and Weapons Museum.Rooms Make yourself at home in one of the 132 guestrooms featuring minibars and flat-screen televisions. Complimentary wireless Internet access keeps you connected, and cable programming is available for your entertainment. Private bathrooms with bathtubs or showers feature complimentary toiletries and hair dryers. Conveniences include phones, as well as safes and desks.Rec, Spa, Premium Amenities Enjoy recreational amenities such as a sauna and a fitness center. Additional amenities include complimentary wireless Internet access, a fireplace in the lobby, and tour/ticket assistance.Dining Grab a bite at one of the hotel's 2 restaurants, or stay in and take advantage of room service (during limited hours). Quench your thirst with your favorite drink at a bar/lounge.Business, Other Amenities Featured amenities include dry cleaning/laundry services, a 24-hour front desk, and multilingual staff. Event facilities at this hotel consist of a conference center, conference space, and meeting rooms. Self parking (subject to charges) is available onsite.